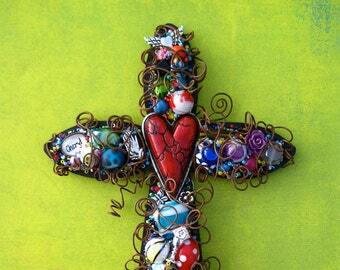 Each metal nail wall cross is wire sculpted in my unique way of wire-wrapping, with rusty wire. 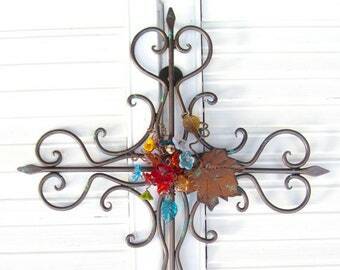 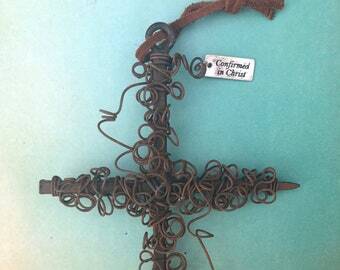 The cross is then finished with a rustic bronze and rusty patina. 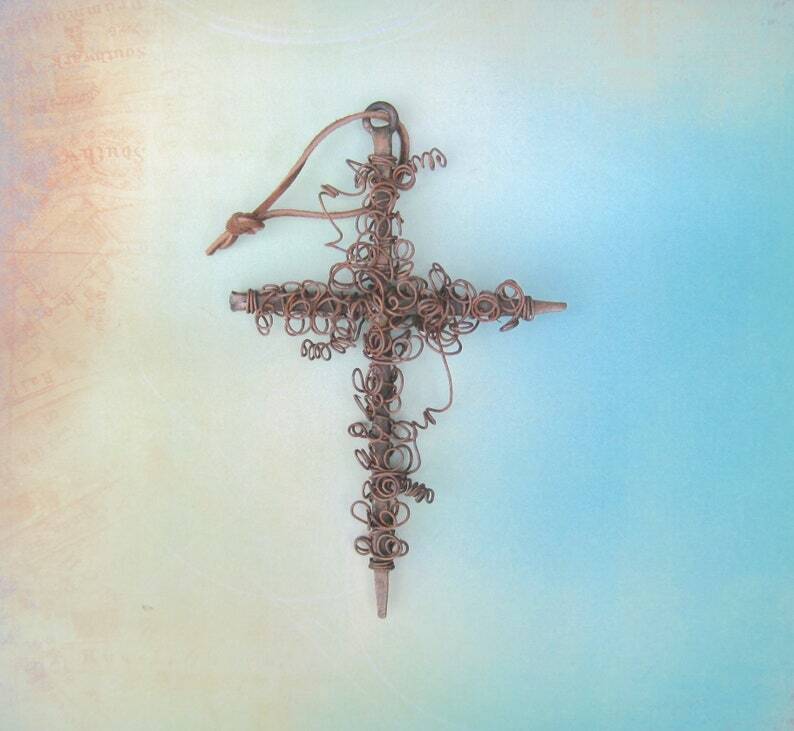 The cross you receive will not be exactly like the one shown, due to hand-sculpting of wire and hand finishing of patinas making it truly unique and one-of-a-kind. 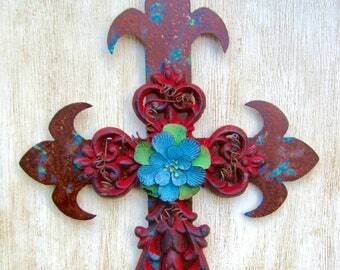 Superb craftsmanship on this very unique cross. 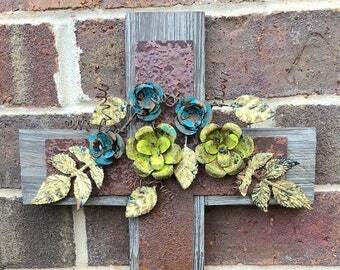 I would highly recommend this site as one of Etsy's top 5.